Patio glass jar. 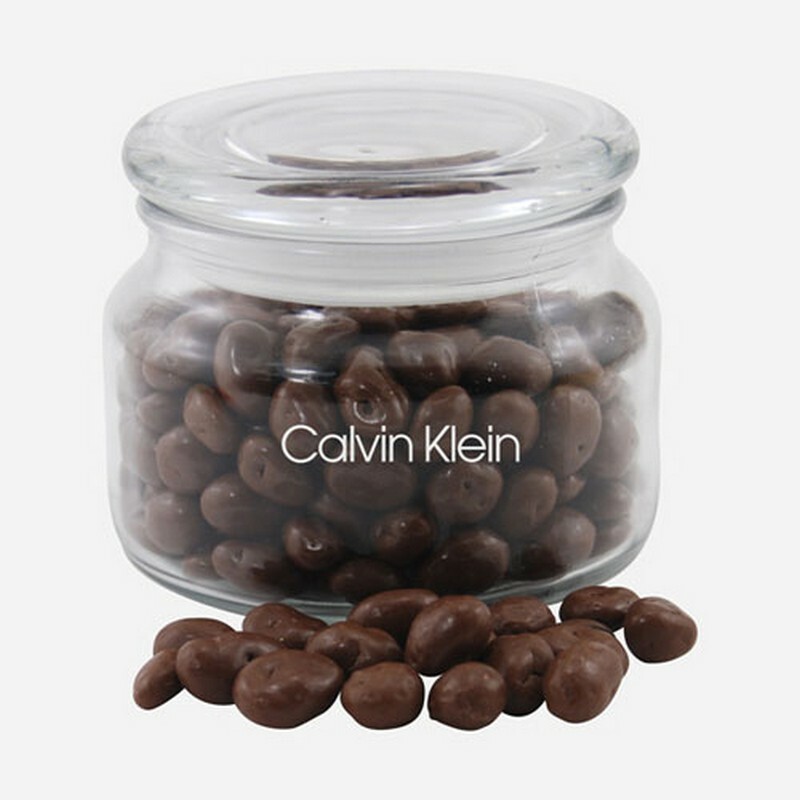 Filled with Chocolate Covered Raisins. Bulk packed.